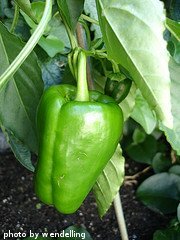 Sweet Pepper Varieties - What's the Difference? 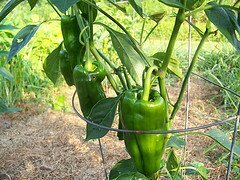 There are lots of sweet pepper varieties available to the backyard vegetable gardener. When most people think of sweet peppers, they think about bell peppers. 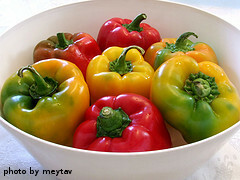 But there are lots of other varieties of sweet peppers that are great for grilling or stuffing or frying. The possibilities are endless. Here is a partial list of some common varieties of sweet peppers, including fruit information and uses. Please note - the days to maturity are counted after the seedling is transplanted.